In 1830, two British celebrated Authors who became Pioneer Canadian Sisters Susanna Moodie and Catharine Parr Trail settled in the wilds of Upper Canada near Lakefield. Their experience was quite difficult. They were very courageous and their fascinating journey was shared through their writings and honest perspectives. 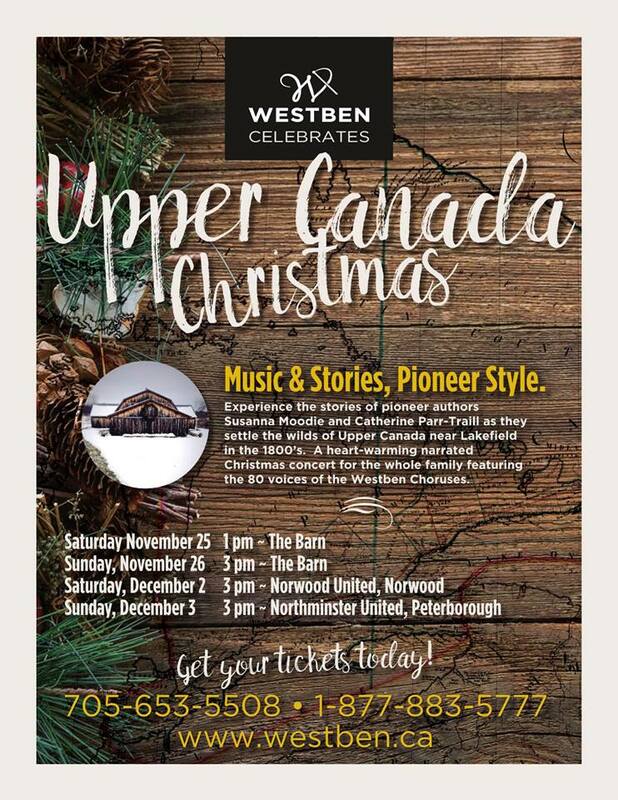 Westben is presenting “Upper Canada Christmas” which is inspired by the writings of these two Pioneer Authors.